Of course the graphics are not the only decisive criterion in order to secure a place on the football throne. In EA Sports Football offshoot must also be borne in mind that FIFA 15 comes with a much larger package license and therefore more player faces must be implemented virtually, as it is the case with PES. In FIFA 15 over 16,000 original licensed players are included. 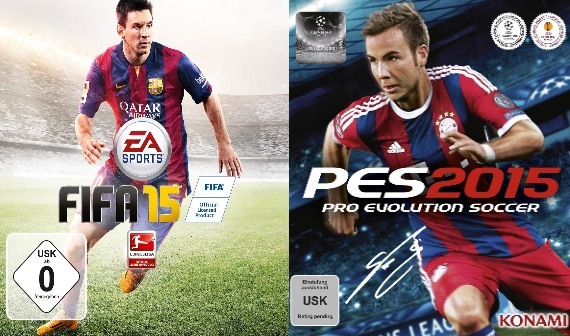 PES must renounce the Bundesliga again this year. With Bayern Munich, FC Schalke 04 and Bayer 04 Leverkusen have it thanks to Champions League license made at least three German clubs in the game. Using qpes 2015 update this deficiency will be corrected.